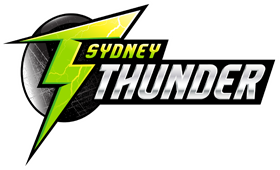 Sydney Thunder Memberships are currently on sale with supporters being able to enjoy all five games at Spotless Stadium for $100 and enjoy more than $200 of additional benefits including access to Wet'n'Wild Sydney, the Sydney Royal Easter Show and $10 Movie Tickets. All our ticketed memberships include more than $200 of added benefits. For more information or to arrange a gift certificate call02 8302 6006.